The 2016 Chrysler 200 is a mid-size sedan that provides classy interior style, high-tech features, and a powerful performance. Inside, this stunning sedan offers impressive passenger comfort and support. High-tech features make you feel perfectly at home, no matter where you travel. Safety equipment actively monitors your surroundings to help you avoid problems. The 200’s ride is swift and smooth. 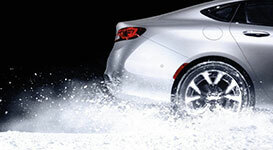 With all-wheel drive, the Chrysler 200 grips the pavement for maximum performance. The 2016 Chrysler 200 cabin is exactly where you want to spend your daily commute. Wide, plush seating and leather upholstery bolster the 200’s rich interior style. Real wood trim adds to the posh vibe. Modern comfort features, like heated and ventilated front seats, ward off extreme temperatures. Both rows of seating provide long-term support and generous head- and legroom. The trunk supplies ample space for your golf clubs and weekend luggage, with 16.0 cubic feet. The 60/40-split folding rear seats give you the power to increase cargo space without sacrificing passenger space. The small trunk pass-through space means you can stow longer items, even with four passengers in the car. In addition to sublime passenger comfort, the 2016 Chrysler 200 treats you to all the latest tech gear. The central Uconnect infotainment system comes highly recommended. Its smartphone integration features keep you plugged into the outside world, no matter where you travel. Voice controls let you interact with the system without looking away from traffic. Use the household-style, 115-volt outlet keep your laptop charged and ready for action. Xenon headlights increase nighttime visibility and offer sharp exterior style. When it comes to safety, this mid-size sedan knows its stuff. In government crash tests, the Chrysler 200 earned a perfect five-star rating for overall protection. The Insurance Institute for Highway Safety gave the 200 its top score of “Good.” The 2016 Chrysler 200 is also stocked with all of the latest driver aids, which scan your surroundings and alert you to potential danger. The forward collision mitigation system can actively apply the brakes if it senses an impending collision. Use the rearview camera to spot any stray objects in your driveway. The Chrysler 200 is known for its smooth, luxurious ride. As in old-school sedans, the 200’s rear-wheel drive amplifies the 200’s sporty performance. Add all-wheel drive for maximum traction over slick or icy pavement. The Chrysler 200 provides ample power in any situation, getting you up to speed in a snap. This family-friendly sedan also makes the most of what you spend at the pump, earning up to 23 city/36 highway mpg. 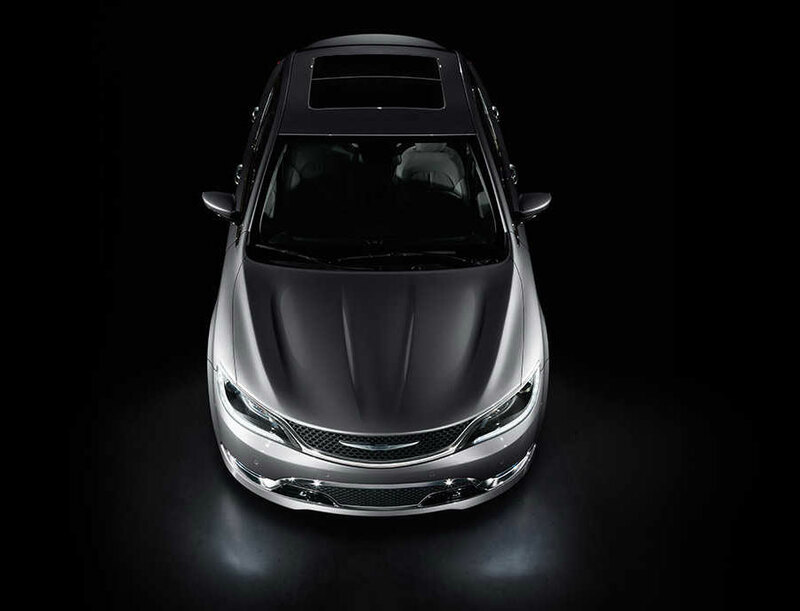 For an upscale, high-tech experience, check out the Chrysler 200C. 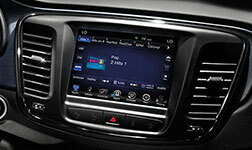 It’s fully loaded with all the latest infotainment gear, including the central Uconnect system. 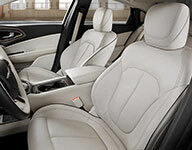 The 200C also dresses things up with heated, leather sport seats. On the road, the 200C provides a smooth ride, thanks in part to its comfort-oriented suspension. The Chrysler 200 is nothing short of luxurious. Use the Uconnect touchscreen and voice controls to stay connected on the go. 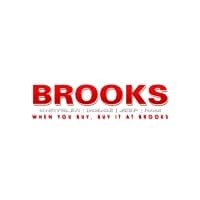 The active braking feature helps you avoid or mitigate damages. The elements are no match for the 200’s all-wheel-drive system. The 2016 Chrysler 200 is the perfect pick for drivers who crave sporty, old-school performance and rich interior comfort. Whether you choose rear- or all-wheel drive, you can expect an athletic, rewarding ride. The Chrysler 200 cabin also offers wide appeal, with features that include handsome leather upholstery and the innovative Uconnect infotainment system. 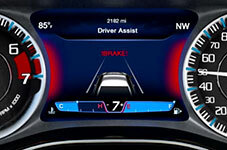 Safety features, like frontal collision warning, help you avoid dangerous situations. Take the 200 on a test drive today!